How does your Safety IQ rate? This is a tough industry and we’re here to make it easier for you and let you do what you do best. 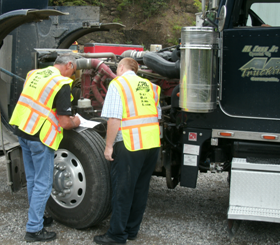 We have focused on transportation compliance since 1998 and have industry proven safety and compliance programs. From CSA, mock audits, drug testing, and much more - we assist small to midsize companies making them compliant smarter and compliant safer. Value added benefits that include fuel discounts, personal banking & more. See quick video excerpts explaining how MIA can benefit your organization. Take our assessment tests to test your Safety IQ. Copyright © 2019 MIA Safety Inc. All rights reserved.